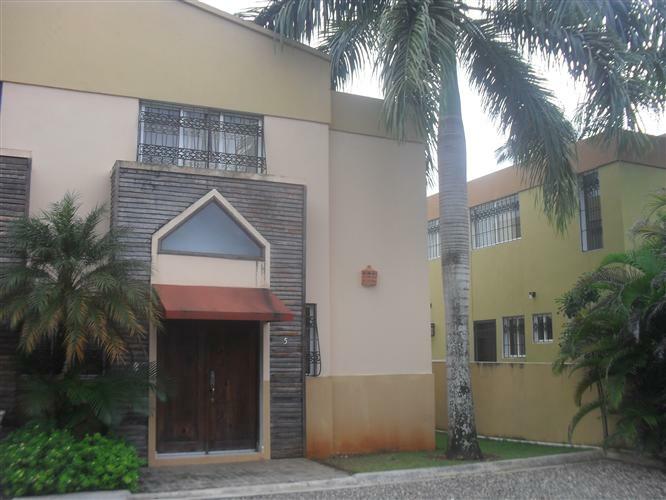 Town house in Cabarete for sale. 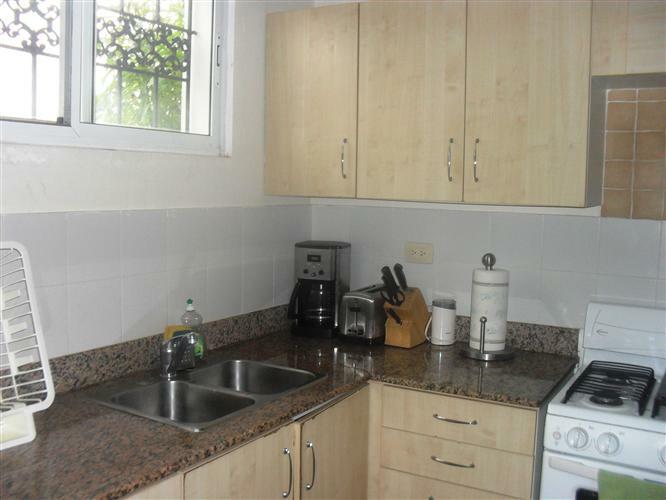 Never has there been a more affordable investment opportunity than this townhouse in Cabarete. 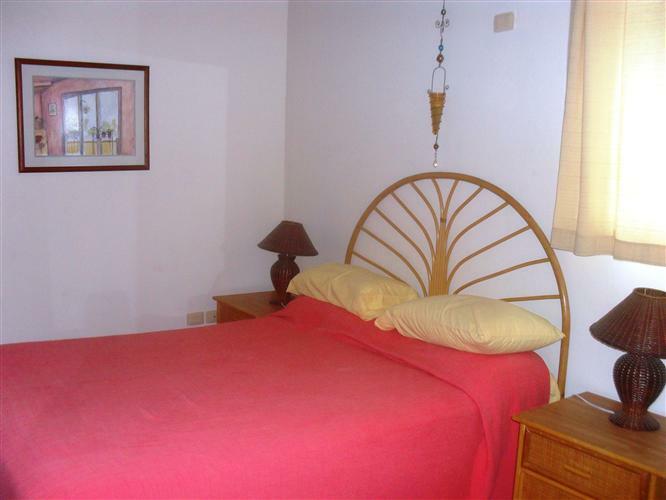 This fully furnished property in Cabarete has two air conditioned bedrooms, two bathrooms and one guest bathroom. 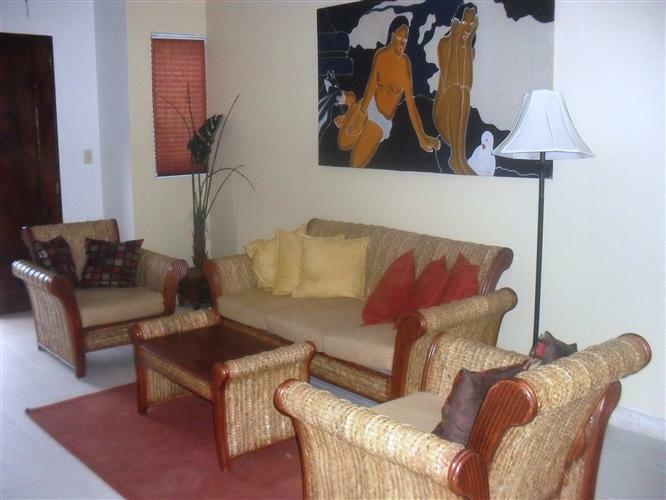 Upon entering the house the first thing you will discover is the living room has comfortable furniture and comes with a T.V. and stereo player. 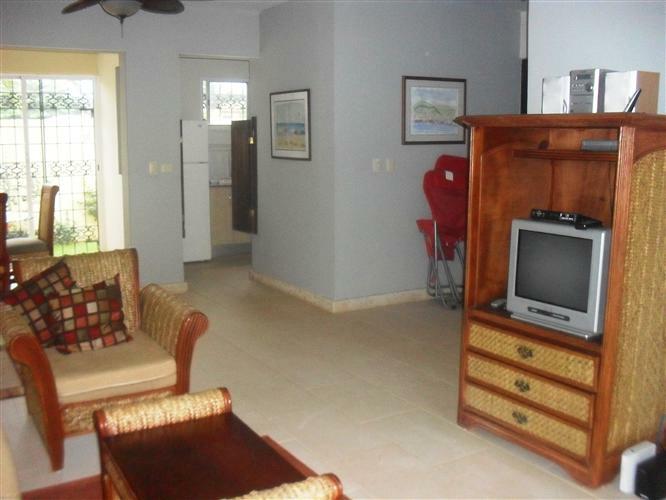 Just off the living room is the dining area, which looks through to the fully equipped kitchen that includes a fridge, stove, microwave and numerous small appliances. 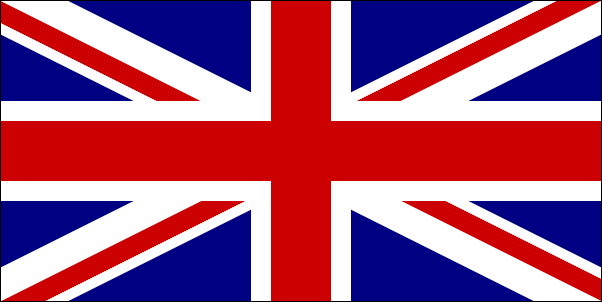 There is also a power inverter providing back up electricity should the street power go out. On the same floor is the guest bathroom. 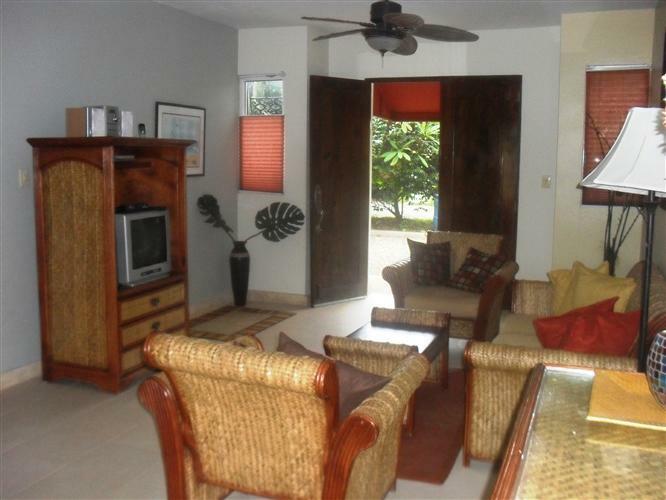 From the dining room you can access the garden area that holds a Jacuzzi which is the perfect spot to enjoy the warm Caribbean weather. Up the stairs there is a small very bright area before the bedrooms that is ideal for an office space. 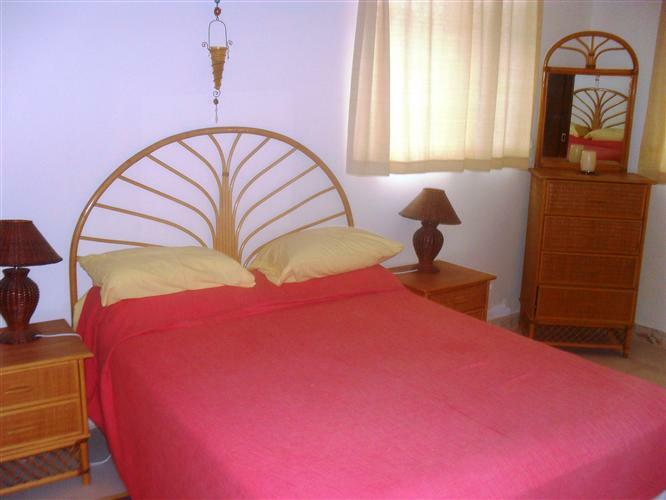 The two bedrooms each have plenty of closet space and en-suite bathrooms. 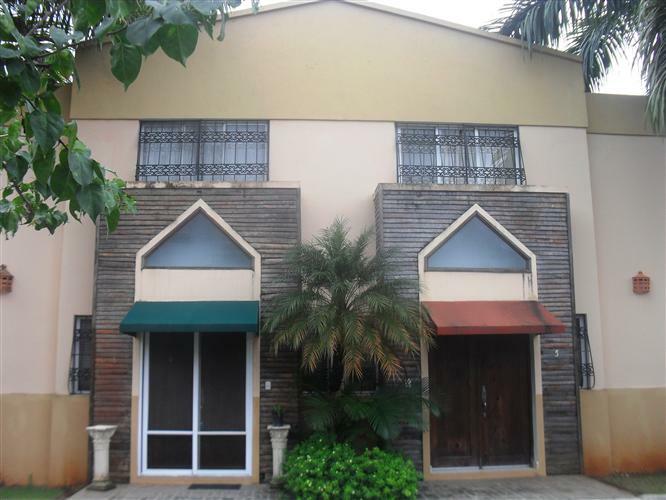 Outside there is parking for two cars and has an automatic entrance gate and just beside the house. 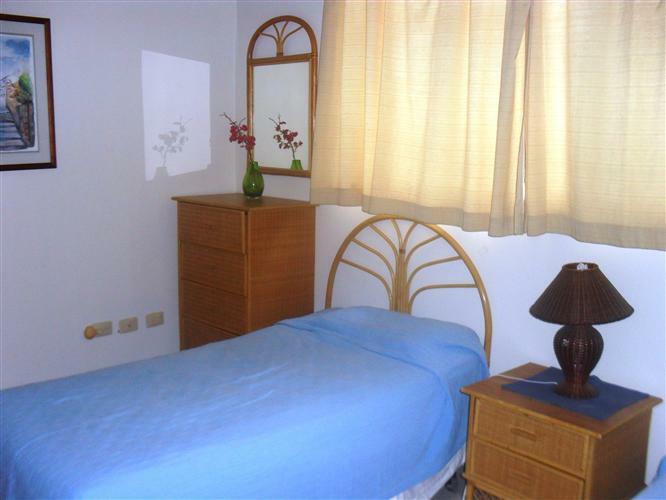 The property is located just a five minutes from down town Cabarete and the beach. 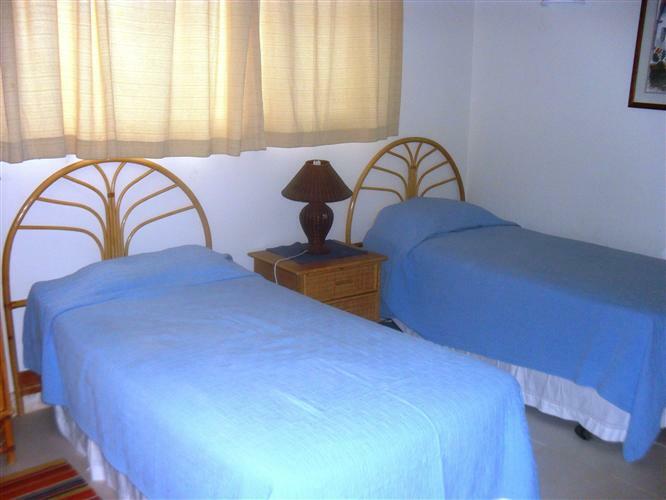 There are plenty of restaurants almost on the doorstep and just a few minutes walk from the grocery shops and pharmacy. 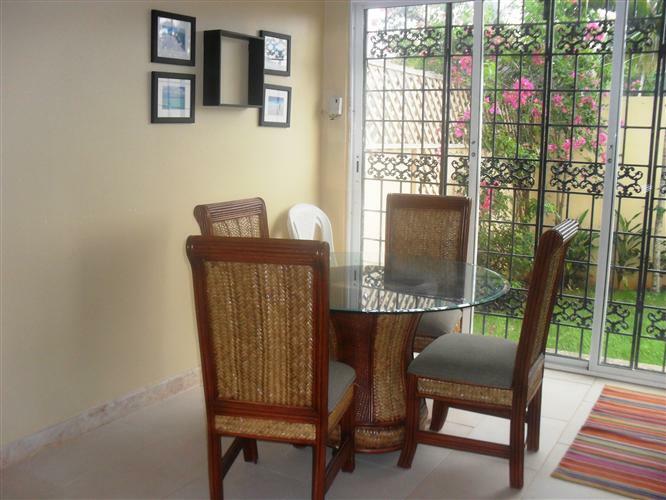 Everything is within easy reach of this very affordable home in the Dominican Republic. 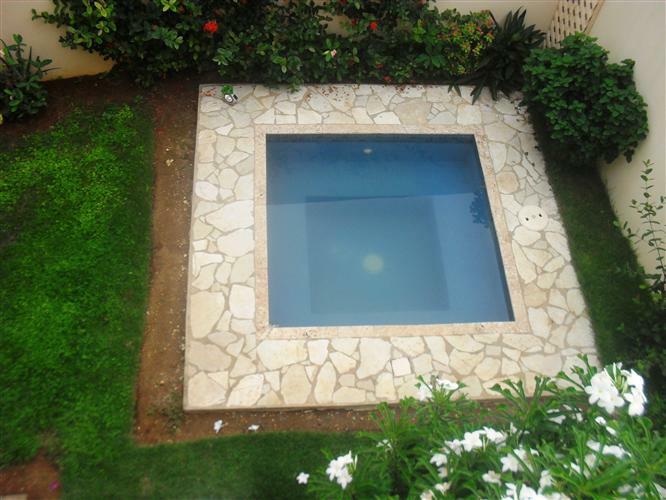 Please complete the request form for more information about this property and about real estate here in the D.R.